Hi Everybody! Welcome to this week’s podcast episode of the WDW Mousenger! For the past several weeks, there have been so many announcements relating to everything from new movies like Cars 3 and The Incredibles 2, to new events, races, DVC, construction in WDW and more. This week on the show we’ll talk about all the amazing things happening in the Disney Universe and why it’s such a great time to be a Disney Geek! 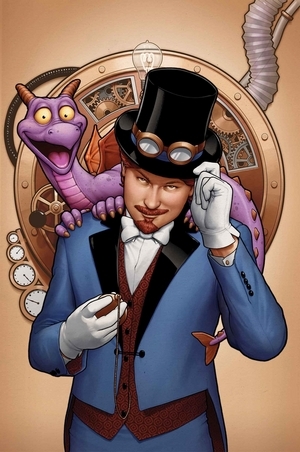 Have you heard about the new Disney/Marvel mashup that is going to produce a comic book series starring a SteamPunk version of Figment and The Dreamfinder set in 1910 London, England? We’ll talk about that along with upcoming events like Star Wars Weekends, Destination D23 and the return of the Adventurer’s Club, and a lot of other great Disney news and events on the horizon. So now it’s time to sit back and enjoy the show, because if you’re a Disney Geek, you’re among friends here!